Most of these paddlecraft are from our lessons fleet, and have spent the summer helping others enjoy paddling our local waters. 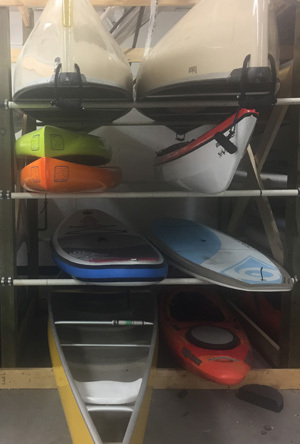 Others were owned by customers who now have different paddling needs. These canoes, kayaks and paddleboards are just looking for loving homes to continue their mission! Many canoes, kayaks and paddleboards are available for you to take home immediately! We do not hold any boat/boards unless they are paid for in full. For your reference, we have listed the price of the boat (if it were new), including any outfitting included. Next to that is the crazy-low price you pay! Keep looking left and you’ll find even more information about your boat/board. Used boats sell quickly, and while we try to keep this list current, it is best to call first if it’s a long drive. So you know, we cannot hold any boat/boards unless they are paid for in full. At time this can be a long list of used boats & boards at great prices. Please be sure to scroll though the chart below. Or, call/visit the store for help picking the best boat/board for you!